Davidoff Grand Cru with Hennessey V.S.O.P. About a year ago, Frenchie Hopkins took his first steps into Cigar City Club thanks to the invitation of a friend. At the time, he was a novice smoker but was drawn in by the upscale ambiance and impressed by the live entertainment of Tabatha King. A few months later, he became a member and enjoys the perks that come along with it including reserved seating, discounted food and ability to bring in his preferred wine selections. In his day to day life, Frenchie has been a Marketing Manager for Siemens Energy Management for six years. This role affords him to travel to visit their largest distributors and ensure they are doing well with their products. He is also a natural mentor to others who benefit from his professional and spiritual guidance for he is a licensed Minister. It’s very clear Frenchie is not all about business, his true passion lies as a Missionary for Hosanna Outreach Ministries of Emmanuel (H.O.M.E.). He founded this charitable organization in 2006 and has been able to bring Doctors and Dentists alongside him offering free services to villages in India, Haiti and Kenya. Frenchie is clear on his calling — it’s not one to minister in the pulpit, but rather to connect with people where they are in need and preach the Gospel. He laments that often times on his mission trips, the first things he hears from the people he helps is that “we’ve been praying for God to send someone.” In his words, “the goal of H.O.M.E is to reach out to those who feel left out, let them know there is a God and your prayers have not gone unanswered!” For his next mission, later this year, his team plans to return to Kenya for a 7th time. The work that they do is life changing bringing basic needs to third world countries. These trips are 75% funded out of pocket from family, friends and church members. To help support H.O.M.E. or if you have interest of being considered to join future missions, contact Frenchie directly by phone 615-513-1063 or email info@hosannaoutreach.org. 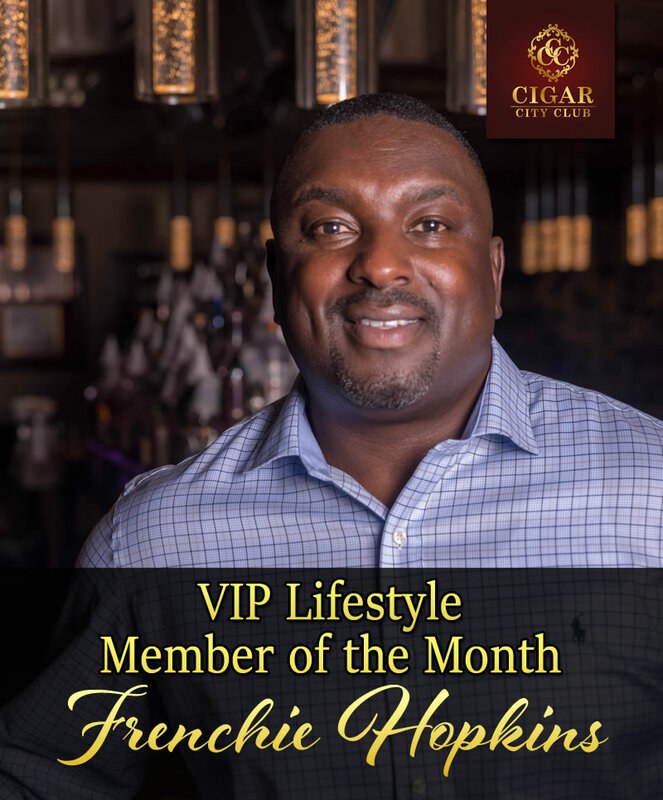 Hats off to Cigar City Club’s Member of the Month, Minister Frenchie Hopkins and all he does for his community and those around the world!